Traveler Review for Private Tour in Yangon, Myanmar by Tour Guide Min Soe W.
About Min Soe W. Message Min Soe W.
See Yangon with a Local. Exceptional 3 days! We knew so little about the country as well as Buddhist culture, religion and customs. And our very knowledgeable guide taught us so much. 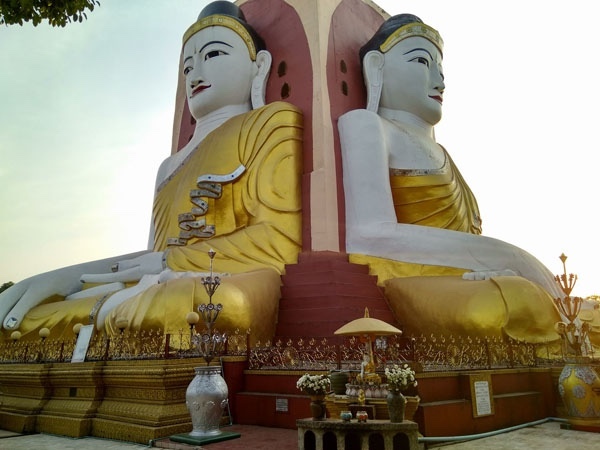 We visited pagodas and monastery as well as places where locals live and tried wonderful local cuisine. Felt totally immersed in their culture and learned and saw more than we thought possible. Min Soe is pleasant company and excellent guide, would highly recommend this tour! TOUR GUIDE RESPONSE: Thank you very much for a such beautiful feedback. It was great seeing you too.